We are a small family run business, established over 25 years ago. 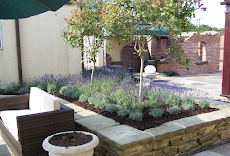 We specialise in caring for private gardens predominantly, but we can also cater for small offices and wedding venues. We acknowledge that your garden is an extension of your home, and is therefore given the care and respect that it deserves. 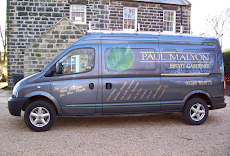 Paul Malyon Estate Gardeners in Chesterfield is a small family business established 25 years ago. We pride ourselves on providing a reliable and trustworthy service, whether for a one-off project, a renovation or regular maintenance throughout the year. 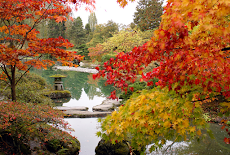 Our service covers all areas of garden renovation, restoration, and regular maintenance. We work in gardens large and small, town or country, and value our many regular clients whose gardens we fully maintain 12 months of the year. We are passionate about gardening and we enjoy giving a friendly and reliable service to our customers. We offer a dedication and professionalism to private and commercial clients within an approximate 10 mile radius of Chesterfield. Thank you Paul for all of your hard work and expertise. It's so refreshing to have a gardener with such a good knowledge of plants, and their care. Barlow, Whittington Moor, Eckington ..........and all surrounding villages.